Hey guys! It’s been a while since I’ve posted last, but I just had an amazing weekend. The reason it was so amazing was because I flew to New York City to see Morning Musume ’14 perform at the Best Buy Theater! It’s been a long time coming, really. The concert was announced on May 5, 2014, exactly five months before the concert was held, and I think I decided on that day that I was going to this. Morning Musume isn’t the top group I’ve been waiting to see, but I did really regret not going to see them when they came to LA in 2009. Even though, in hindsight, the Platinum era is one of my least favorite eras of MM history, I felt like I had missed out. This felt like a big chance for me. Ishida Ayumi is one of my favorite idols, and I’m generally very fond of this era’s music and members. This was an opportunity I couldn’t miss out on. Fast forward several months, and I flew into New York on Friday afternoon. That day I met up with one of my best friends, Dani, who I’ve mentioned several times on this blog (in fact, she helped come up with the name Happy Disco, so there you go!) Seeing Dani was a major part of why I went on this trip, so it was really fun to hang out with her in person all weekend! Saturday was Hello!Party night, and that was a lot of fun. I’d link a video of the games, but I’m pretty sure I made a fool of myself with one of them so I’ll leave you to find those. Basically, Hello!Party has been run four times now by Jen and Bryan Veloso as a Hello!Project fan meetup. Attendees get split into teams, and play games inspired by games played on things like Hello!Morning, competing for prizes. In addition, there were chekis taken for a scrapbook, dancing to music provided by Johann from Johpan.com (who I missed out meeting at Idol Matsuri and was happy to see there! ), and general fan meetup goodness. That night I got to meet up with one of my favorite bloggers, The Number 244! Hanging out with him was a highlight of the weekend, as we’ve been twitter buddies for some time. I was very glad to meet someone from the idol blog world on this trip! Sunday morning I spent in line. I had initially planned on getting up, checking in on the line to see when it got long enough, and then joining when I felt like it was long enough for me to really want to get in. Well, I woke up at 8 AM, checked twitter, and saw that the line was already VERY long. I rushed, got ready, grabbed some food for the line and got to the line at about 8:45 – 8:50 AM. Which means that yes, I stayed in line for over six hours. That said, the line certainly didn’t feel like it took that long. Even though people got shuffled around in line a few times, it was very fun to meet people and chat with them in line about Hello!Project and idols in general. Some Japanese fans brought extra CDs and photos and handed them out in line, so thank you for the Ayumi photo! I really appreciate that! Right before the concert (about a half an hour/45 minutes before doors) I got to meet another Twitter buddy by accident, Rebecca . We only knew it was each other because I mentioned Team Syachihoko which is kind of a dead giveaway for my identity. We chatted in line with some other fans before the doors opened. Idol fans are serious fans. Even as we were told to not run, we definitely speedwalked and tried to get there faster. I bought an additional ticket late in the game which granted me early entry, which ended up being a VERY good idea because of my height and how quickly everyone lined up. We were right after VIP, though. No one really knew where anything was in the theater, so someone asked for merch before we were pointed to it. Even though I had thought that the VIP fans would beeline straight to the stage, it was packed by the time I got there. I secured my Ayumi towel, my t-shirt and, most importantly, my CD and handshake ticket. I nearly forgot my wallet with my excitement, so thank you to whoever handed it to me. That was very nearly a disaster. I got a spot RIGHT next to the official video cameras and a bunch of Morning Musume staff, which was kind of intimidating at first. This was a great choice for me, though, since it was elevated which meant a much better viewing experience for short me. Then finally, the concert started. I have to say it was kind of surreal to see the members walk out on stage one by one. I’ve been following these girls for years, and actually seeing them in person is a little weird. One Two Three started, which was a pretty perfect way to start the concert. It’s known as being a very popular song abroad, so we were all very pumped for it. The setlist itself was really more than I could have hoped for, really. I feel like everything I was told wouldn’t happen did end up happening. Most songs ended up being short versions except for a few, but that enabled them to perform a lot of great songs so I was very OK with that. As expected, the biggest focus was on the current group’s most recent songs. I was very happy about this, as, like I said, I’m very fond of the current group’s songs. One Two Three, Wagamama Ki no Mama Ai no Joke and What is Love seemed to be particular crowdpleasers, but everything from the recent songs came off almost better live than they were recorded. I had long hated The Matenrou Show, for example, but I came out loving it. There were a few older songs, though, mostly through their “updated” album. As a MM fan who cares a lot about the golden era I would have preferred to hear the originals. However, being able to hear Renai Revolution 21, The Peace and Love Machine was incredible. The Peace especially, as a huge Ishikawa Rika fan, made me incredibly happy. I was also pleased to hear Shabondama and Kimagure Princess, which were both fun to see the current group do. The biggest surprise, for me, was the updated version of I Wish and Sayumi’s solo, Lalala no Pipipi. Hello!Project groups tend to perform every song as a whole group while abroad, so I was really surprised to see that they went for a solo performance. I Wish was definitely a highlight, but I cried through a lot of it. It’s a very touching, emotional song to me. Lalala no Pipipi was FUN. Sayumi might not be the best singer, but she’s an excellent performer. She commanded the stage and performed with such gusto that it ended up being one of my favorite performances of the concert. I have to say I was really impressed with the girls. I’d always assumed that concert DVDs were doctored, vocally, which isn’t a bad thing. However, all the members sounded really good here. Riho’s voice was particularly delightful. Performance wise, I tended to watch Ayumi more than anyone else. She had a fantastic stage performance and was almost magnetic. I know a lot of people are reevaluating Ayumi after this concert, which I’m very happy about. She deserves it 100%. That said, everyone’s dance was fantastic, which is impressive given the amount of jet lag they were all feeling. The MCs were very fun, as well. The first big MC was member introductions, and everyone did a great job at appealing in English. The crowd left Zukkii speechless, literally, after giving her an incredibly loud cheer that she didn’t seem to be expecting. She forgot her English, which was pretty adorable. Eripon announced she liked Spiderman, and threw a fake web into the audience, telling the lucky guy who caught it that it was a present from her. The other highlight MC was the one during the encore, where Sayumi read a letter to the fans. I got a little teary-eyed as she told us about how happy she was and that “You made this happen.” I had an immense feeling of pride towards the international idol fan community. We may have a small community, but we’re passionate. I think everyone else felt similarly. After the concert ended, it was handshake time! All the people who had tickets sat in the back of the theater and waited to be called up, row by row. Not really thinking where I was sitting mattered, I sat up near the back. Even though I had to wait, it was kind of worth it as the girls tended to play with the audience during free time. Riho mimed doing the wave, which we all eagerly tried to do without any coordination making it not really the wave at all. Maachan shouted back and forth with a couple of people. Finally, it was my turn. I honestly can’t remember some of the girls as well as others. I had heard before that Hello!Project had short handshakes, but I didn’t really realize it until I went to this. The handshakes were sometimes absurdly short. For example, with Zukkii, I barely got out the word “Kanon” before I was pushed along to the next member. I don’t regret the handshake event, but how ridiculously short it all was was a tad jarring. The event was held in member order, from lowest in seniority to highest, so Sakura was first. I told her that I really liked the English goods video she did, and she thanked me. She was very sweet. Kudou and Maachan I thanked and was moved along quickly. My go to thing was thanking the members as I was getting pushed along. Ayumi I got a couple of extra seconds with, which I was grateful. Immediately she noticed my Ayumi gear and asked me if they were her colors. I told her yes and that I really really liked her. She was happy about that. Harunan I called Honey, and she responded with Honey back. It was cute. Zukkii I barely got to say “Kanon” before getting pushed along. Ah well. Riho is not a member who I have been a huge fan of in the past. That said, I’ve warmed up to her a lot very recently, and at this event she charmed me even more. I moved up to the handshake and called her Rihoriho, one of her nicknames. Her eyes kind of widened and she went “ohhhh, thank you!” It was ridiculously adorable and won me over, so Riho is now my #2 favorite current Morning Musume member. Eripon and Mizuki I basically just thanked. I wish I could have said more but no time! Sayumi I congratulated on her graduation and thanked her. Like I said, it was short, but I’m glad it made some really valuable memories. That night the Japanese fans were hosting their own party. I wanted to go, but as soon as I sat down, my legs basically stopped working so I just took it easy that night instead of going out and partying. All in all, it was an incredibly fun and rewarding weekend. The performances were top notch and the handshake was fun, even if it was short. I got to meet friends I’d never met before, and chat with other fans. It was a fantastic experience, and hopefully one I’d like to repeat soon! Review Monday: Morning Musume – Egao no Kimi wa Taiyou sa, Kimi no Kawari wa Iya Shinai, What is Love? That’s right, I’m reviewing Morning Musume’s latest. I’m sure you guys don’t need much more introduction! Song: When I first listened to Egao no Kimi wa Taiyou sa, I hated it. Not just dislike, I thought it was just terrible. However, something amazing happened. I kept watching the PV (partly out of my interest in the group and partly because of the PV), and the song suddenly grew on me, where I began to like it where I had hated it. This isn’t to say the song is perfect. By all means, there are still the flaws it had before. 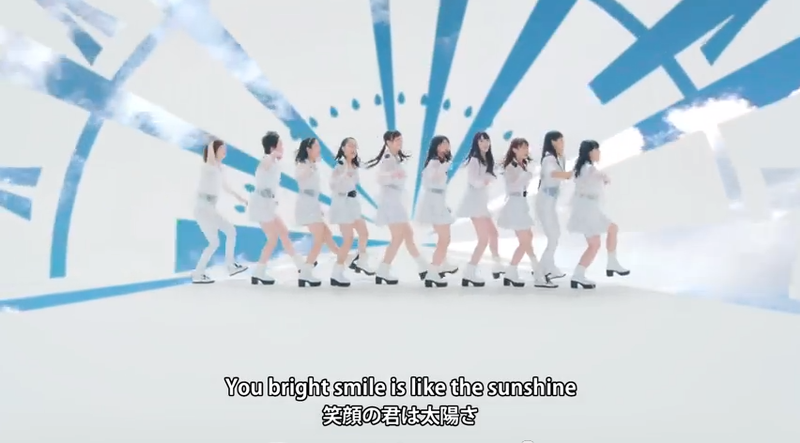 The most noticeable flaw is the weird phrasing of lyrics in the song, where words get bunched together and the girls have to very quickly sing lyrics in small places. It’s hard to imagine this particular melody without the weird phrasing, but it does sound unprofessional and a bit odd. I think the thing that I appreciate most about Egao no Kimi wa Taiyou sa is more of what it represents for Morning Musume than anything else. While I’ve really enjoyed Morning Musume’s latest output, I have wondered, like many others, if the group would get stuck in the EDM genre and eventually play out the genre until people were sick of it. Hello!Project has a terrible habit of adopting a “If it’s not broke, don’t fix it” mentality, and since Morning Musume has been suddenly selling better than the group has sold in years and years, I was worried the group would get stuck in a rut. Egao no Kimi wa Taiyou sa still fits the mold in that it does use EDM. However, this song experiments with using the group’s signature sound and making a lighter, happier song. In a way, they’ve proven that they can take the group’s signature sound, and still have very varied songs. PV I think green screen has been getting a bad rap lately. It’s a tool, and like any tool it can be used well and used poorly. I understand why Morning Musume fans have lately held it in contempt, for sure; Up-Front tends to use it pretty poorly, like in the case of the Help Me PV where it was a poor substitute for actually being outside. However, with an interesting aesthetic style, a green screen can be a great asset. Morning Musume has somehow managed to use this well. By only using the green screen sparingly, as patterns that move with the girls to the song and to the dance, the PV looks a lot more interesting than in something like a Help Me situation. This elevates the standard H!P studio PV from being basic to being something visually interesting and appealing. I honestly can’t remember the last time I watched a H!P PV because I found it to be an interesting PV. The PV is actually shot well, too. I really enjoy the opening shot that starts up overhead and tracks down to in front of the girls. Since Morning Musume is still (rightfully so) getting known for its formation dance, I’m glad that they capitalized on this with some good bird’s eye shots. The lighting is also good, especially by Hello!Project standards. While I would change it a few places, this is miles above the awful flat lighting they were trying to use for a while. By far my biggest complaint is the blurry, bloom effect that they used on the close-ups. I don’t object to the idea of it, but I do object that it gets used as much as it does. This isn’t as bad as some other effects (see: One Two Three), but it does detract. This is a solid PV that is a step up from other recent H!P efforts to show off Morning Musume’s strengths while having a unique visual style. 8/10. Song: This is the least interesting song on this single. Not to say this is bad; I actually quite like it. But for being a fairly experimental and interesting single, Kimi no Kawari wa Iya Shinai is fairly standard. Which makes sense; this is being used as the cheer song for the Japanese team at the Olympics this year, so they would want something that was energetic, exciting and all that (I do particularly like the “Nippon” chants; they sounded nice here). This doesn’t sound particularly like Brainstorming or Wagamama Ki no Mama Ai no Joke (It might be a bit closer to Ai no Gundan) but it’s in the same mold of cool song. I don’t think it’s quite as good as Brainstorming or Wagamama, but that’s in part because of how great I thought those two songs were when I first heard them and now some of the novelty has worn off. Really, I don’t have much more to say about this song than that. I know I like it, but as a song it’s the least interesting and least remarkable one of the lot. 7/10. PV: As a PV, this is a lot less interesting than Egao no Kimi. Production values are still good here; I like the camera angles and the lighting. I feel like H!P hired a new team or got their PV people in gear, which makes me VERY happy. This PV is shot much better than a lot of H!P’s older stuff. Like everyone else ever, I’m not sure how I feel about these outfits on this background. They kind of clash, but at the same time look fine. H!P’s always had iffy costumes at times, and this is hardly the worst of the lot, but it does stand out. One of the biggest strengths of these PVS (not just Kimi no Kawari but all three) is just how strong these girls have gotten. 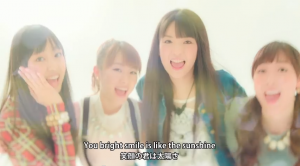 Gone are the awkward days of early PVs, Morning Musume is now full of pros. While I think that a stagnant lineup is a mistake and that they really ought to be working on that 12th gen, I can see why H!P would be hesitant; all the girls in MM are solid, and work well together. Riho and Ayumi do a great job of starting things off here, and Kudou Haruka stands out. The green screen used in the closeups is the weakest part, but it’s mostly harmless and unobtrusive. Song: What is love? How I feel about this song. 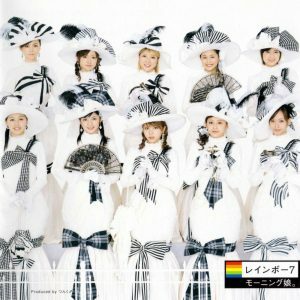 What is Love brings back Morning Musume to what made me fall in love with the group in the first place; playing with genres within the contexts of pop music. 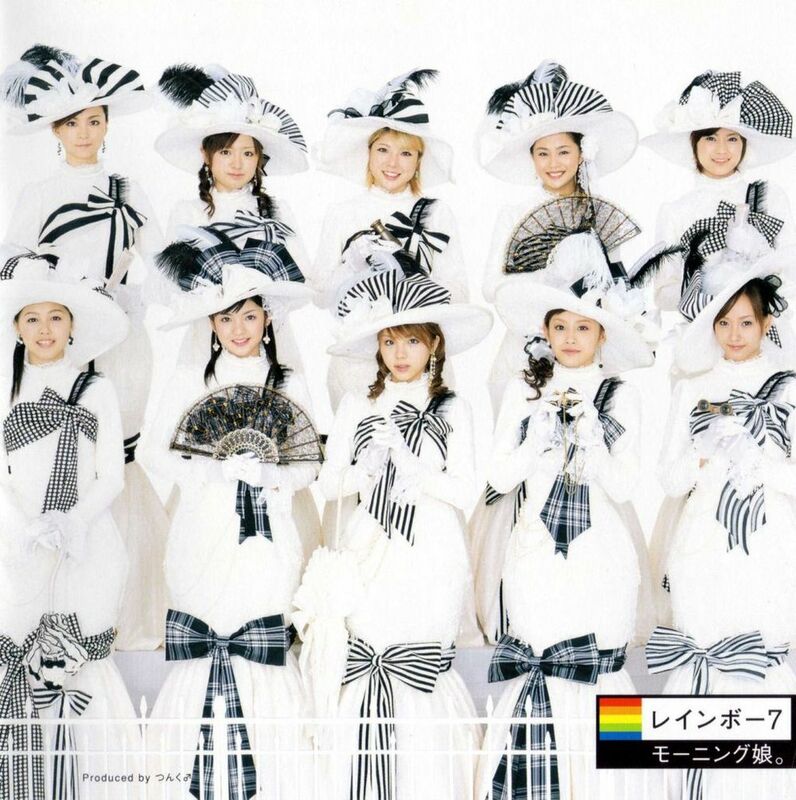 The first Morning Musume song I heard and loved was the good old Mr. Moonlight Ai no Big Band (also probably why my first favorite was Yossy), and I still love how it brings back an older genre of music into pop music. What is Love does what Mr. Moonlight did to big band, only with swing, and adds on some additional interest with combining it with the EDM/dubstep inspired sound of Morning Musume’s current era. What is Love is catchy, exciting, and I just love the swing music sound that they throw in there. This is one of Morning Musume’s best songs in years, and I don’t say that lightly. Morning Musume has improved a lot in the past year, year and a half, and What is Love is, to me, the culmination of that. 9/10. PV While I’m not opposed to the idea of a live PV (especially on a single where there’s two other PVs going on). However, live PVs can be done well and they can be done as, well, an easy PV. Team Syachihoko’s Soko Soko Premium is a good example of a live PV; it takes multiple live performances, and edits things together so that the PV conveys some of the energy of the group’s live performances. What is Love often falls a bit flat at this. Overall, I’m impressed by this single, in addition to being impressed by Morning Musume as a whole in the past years. While the first two songs took a while to grow on me, once they did I really enjoyed this single and I’m happy it’s been so successful.